LIMITED & NUMBERED EDITION OF 28 PIECES WORLDWIDE! 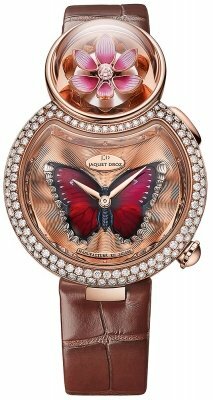 FIGURE 8 SHAPED CASE, STYLISH, FEMININE & VERY ELEGANT! Pressing the button at the top right side of the case with activate the miniature AUTOMATA. Upon activation the flower petals spread open to expose the briolette diamond, which will swivel on its axis reflecting the light, then the flower petals gently close. 18kt rose gold with a wave guilloche pattern texture. Rose gold butterflyhand enameled, painted & engraved . 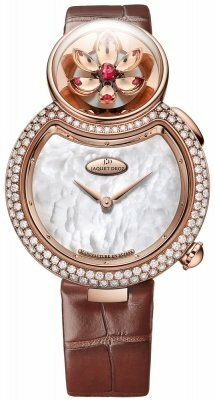 Dial ring/flange set with 82 baguette cut diamonds weighing a total of approximately 0.82 carats. 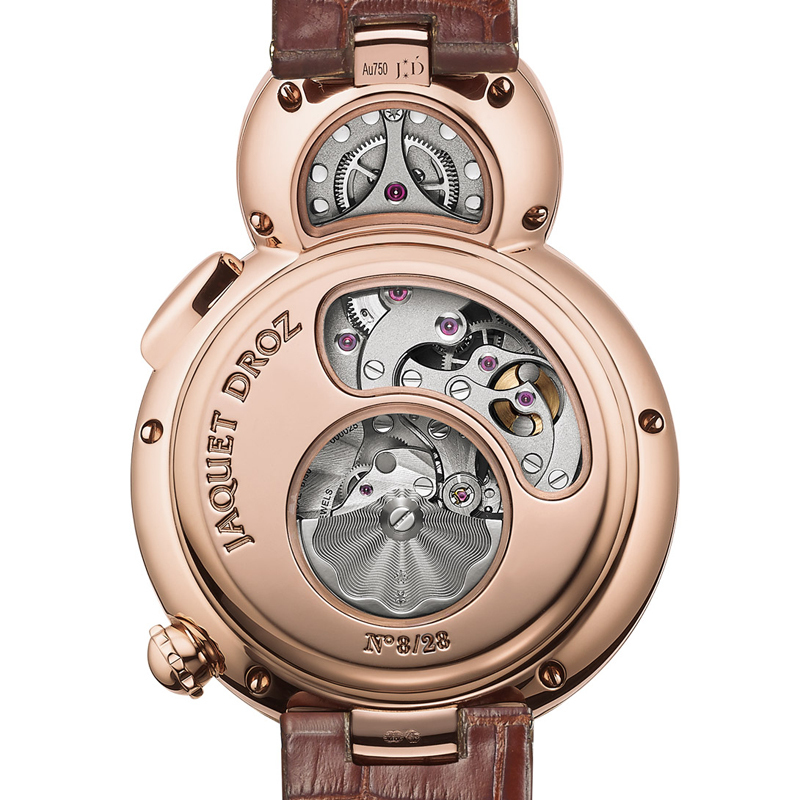 Jaquet Droz Caliber 615, beats at 21,600 vph, contains 29 Jewels & has an approximate power reserve of 68 hours.